Having recently released in an inoffensive “Solid Grey” colorway, the adidas Originals Tubular X has been redone in a clean White/Tan get-up for a decidedly summery look. Featuring pure white Primeknit construction on the upper, the sneaker provides some subtle visual interest with a tan suede X-shaped paneling embossed with the Trefoil logo. A duotone white and translucent tan Tubular sole finishes off the silhouette. 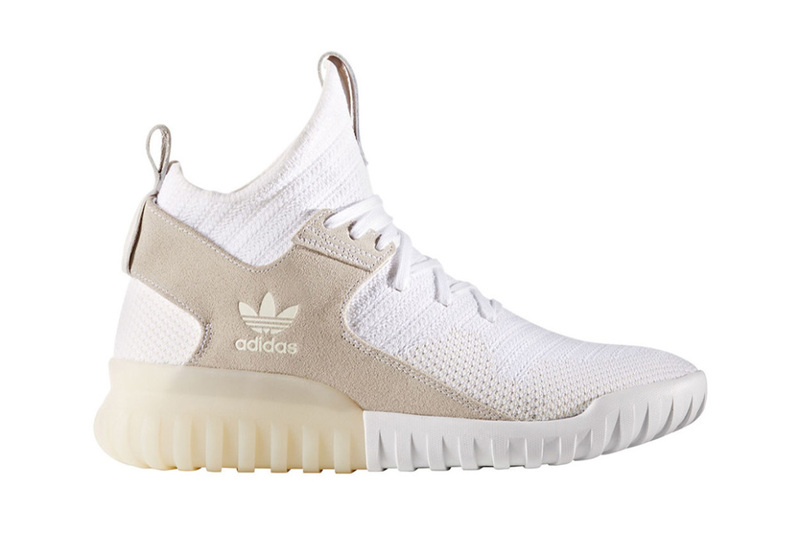 Expected to drop sometime during fall, look for the adidas Originals Tubular X Primeknit White/Tan to hit retailers such as Inflammable.